Ask your users for their names, emails, and phone numbers numbers. The User Info and Permissions blocks allows you to ask users for information from their Amazon account - such as their email, name, and phone number. For more technical users, this uses the Alexa Customer Profiles API. Users will be given a permissions card when downloading your skill asking for their info. 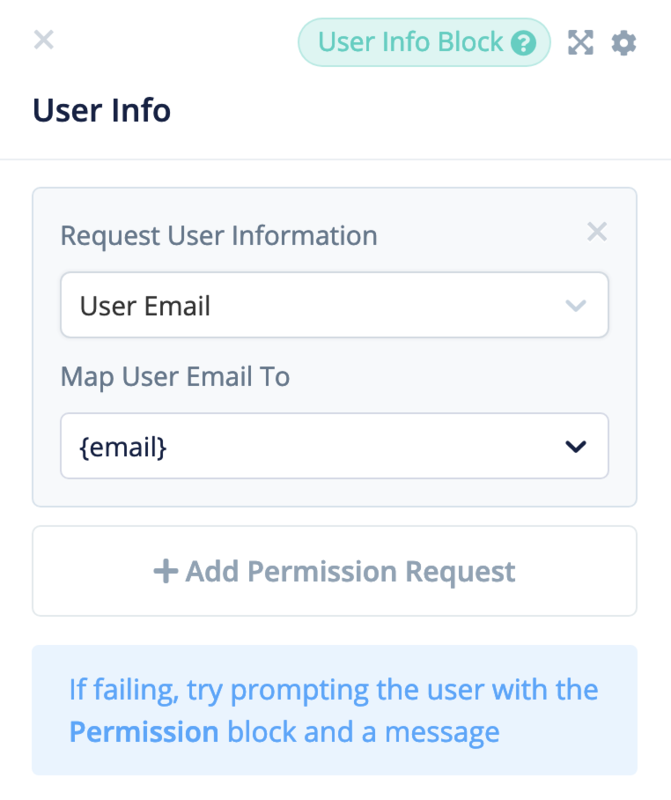 Users can accept, or decline to give you their permissions - and which ones they do give. Permitted user emails, phone numbers, and names are stored in variables set by the creator. The success block port is not labeled. 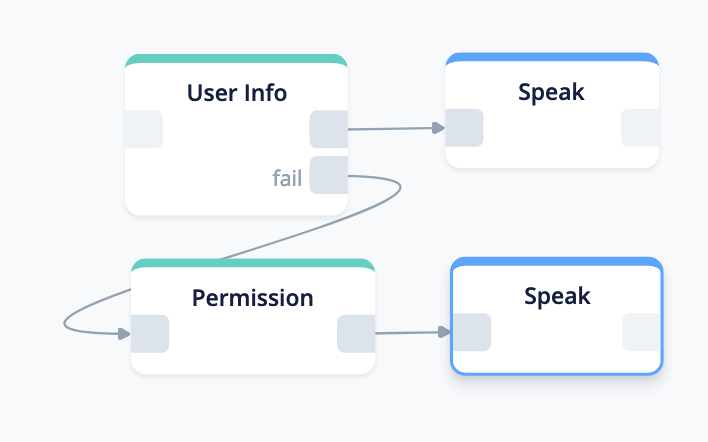 When permissions are granted, and transferred to your selected variables, the skill will follow the success path. The failed block port will activate when the users decline to give your skill the requested permissions or permissions request fails.